Tour of University of Liverpool Energy Centre CHP plant. 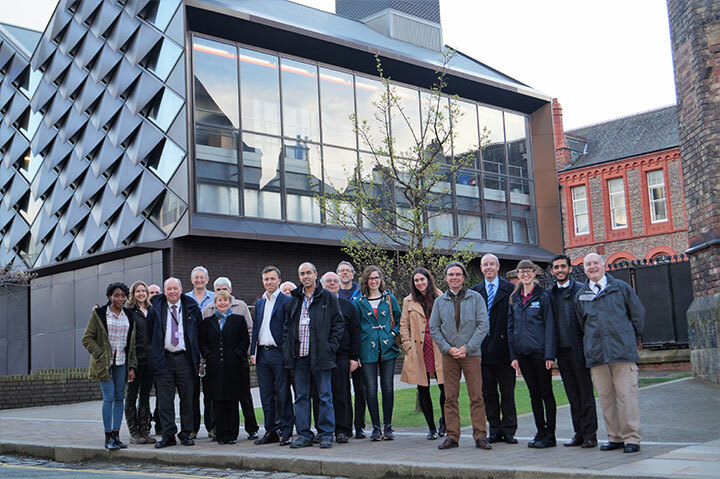 Clarke Energy and The University of Liverpool recently hosted a tour of the on-campus Energy Centre for members of the Institution of Chemical Engineers (IChemE). 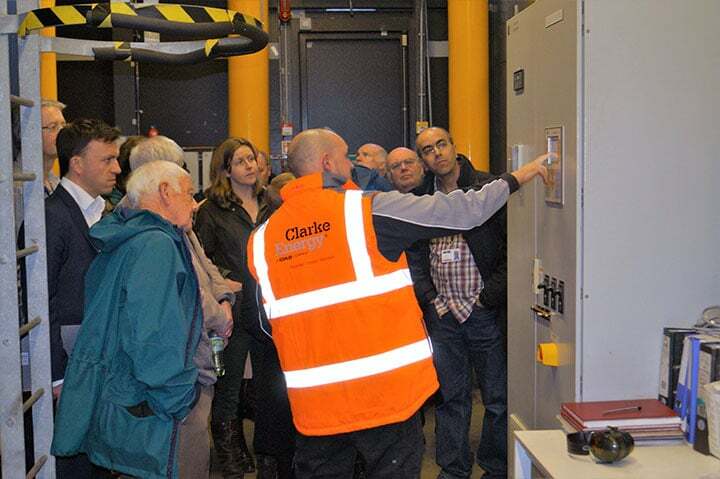 Guests attended a presentation by Clarke Energy and University of Liverpool staff and then completed the tour of the combined heat and power (CHP) plant where Clarke Energy supplied one of GE’s Jenbacher 3.4MWe gas engines in 2009. Since the engine was commissioned it has run in excess of 8,000 hours per year and provides a base-load electricity supply along with heat for the whole of the university campus. There was an opening welcome from Peter Swanson, Chairman of IChemE Chester & North Wales which was followed by a presentation from University of Liverpool Engineering Services Manager, Peter Birch. Peter gave a brief description of the energy use on the campus and the benefits of CHP in powering the site which has a total annual energy bill of around £6.2 million pounds. Glynn Wood, Clarke Energy Service Engineer giving demonstration to IChemE visitors. This was followed by an introduction to Clarke Energy and presentation on remote monitoring and diagnostics from our Lead Engineer for Service & Support, John Fonseka. John went on to provide a demonstration of GE’s myPlant* Asset Performance Management (APM) solution which has the benefit of being able to monitor the engine and run diagnostics from an offsite location which reduces site manpower requirements. 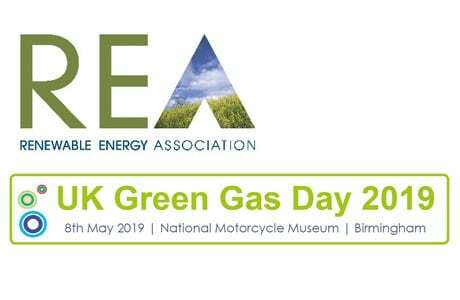 The presentations ended with a talk from Brahim Benbakhti from Liverpool John Moores University on emissions sensor development. 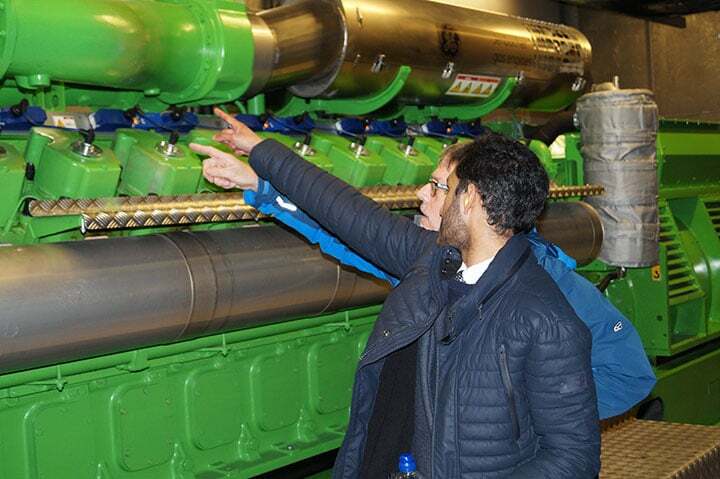 Glynn Wood, Service Engineer for Clarke Energy then took visitors on a site tour of the Energy Centre and into the enclosure where the recently overhauled Jenbacher J620 engine is housed. This gave the IChemE visitors the chance to see the engine in operation which was followed by a Q&A session which gave Glynn and John a chance to answer any technical questions that arose from the guests. John Foneseka, Clarke Energy Lead Engineer and IChemE guest with GE’s Jenbacher J620 engine.